Adjusting glasses - Can you do it yourself? Sometimes your glasses may need to be adjusted, if they aren't fitting snugly behind the ears or are sitting too high on the face, for instance. Many people will see an optician for such adjustments, but can you do it yourself? We often get questions about adjustment of eyeglasses. People wonder what to do if the temples are too long, or too short, or the curve isn't as curvy as they'd like. Do you just need to see an optician? The answer is no! 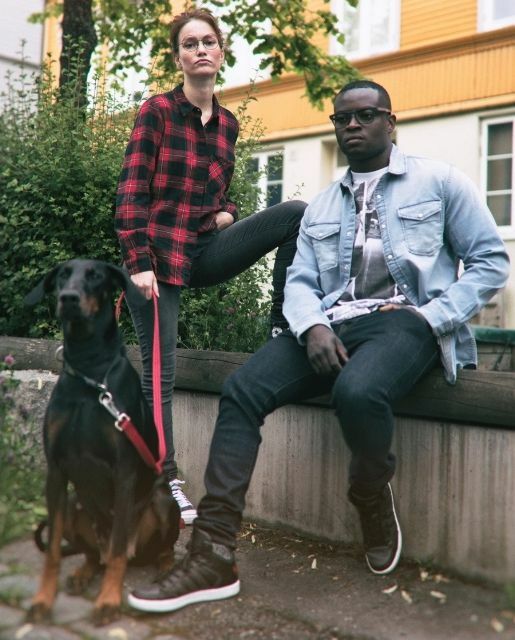 These are problems you can easily solve at home. Let's see how. The nose pads are very "standard" when you receive your glasses. Sometimes they fit well, other times ... not so much. These are, as most people know, very easy to adjust. Simply grab the nose pads with your thumb and index finger, and bend them as you wish. Don't pull the nose pads in order to get the metal to yield, however; you risk damaging the pads. In this way, you can also adapt where the glasses sit on your nose. The wider the gap between the nose pads, the further down on your face the glasses will sit. Try out different adjustments to find out what suits you best. Plastic frames with nose supports can't be adjusted over the nose. What you can do if your glasses are too wide over the nose, is to buy anti-slip nose pads which you glue to the nose supports. They will reduce the gap and make the frame narrower over the nose. 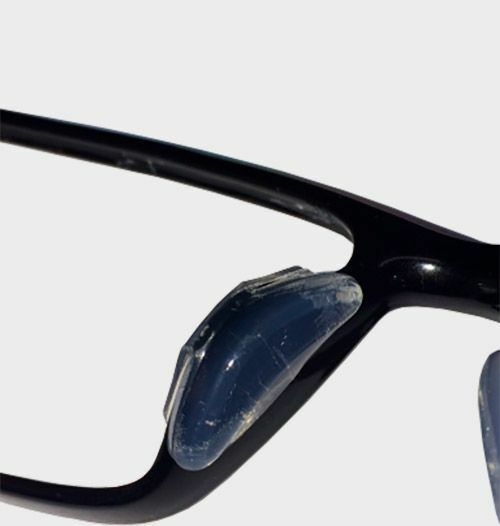 Glasses with fixed nose pads can be adjusted to improve fit and comfort. To pull the glasses higher up on the nose, the nose pads are brought closer together. 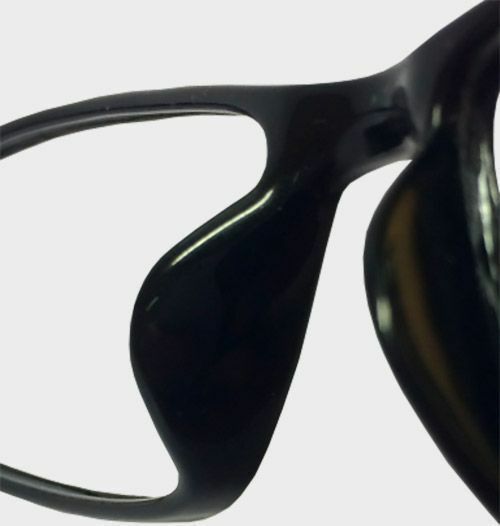 To push the glasses lower down, the nose pads are moved further apart. Glasses without nose pads have fewer adjustment possibilities. You can either tighten the glasses behind the ears, or put anti-slip pads on the nose support. By adding anti-slip pads you can pull the glasses higher up, and make sure they fit better on your face. The pads will also prevent the glasses from slipping down your nose. The most common problem with the temples is the length. For some they may be too short, for others too long. Isn't it great, then, that you can do something about this at home? All you need is hot water or a hairdryer. Let's say the temples are too long. In this case, the solution is to be able to bend the tips behind the ears. What you do is use a hairdryer to warm the part of the temple you want to bend. Warm evenly all around the area you want to adjust. After warming the temple for about 30 seconds, you can start to bend it a little. Bend carefully, but firmly. It's best to hold the temple with both hands, and place your thumbs underneath the area you want to bend. This gives you better control over the temple and the curve. It's often necessary to warm the temple with the hairdryer several times during the adjustment. If the temples are too short, and the tips don't curve comfortably behind the ears, you will need to straighten them in order to get a good fit. Proceed in the same way as described above, but instead of curving the temple further, you straighten it out. You can then adjust other areas of the temple as needed. If your temples are too long, you can adjust the angle as shown in the picture in order to get a better fit. All temples are delivered with a standard length and angle. They will suit most people, but to improve comfort you can adjust the angle. If your temples are too short, you can increase the angle. This will make the temples feel longer, and they won't sit as tight behind the ears. After using your favorite glasses for a while, the temples may start angling outwards. This is due to normal wear, and can happen with all types of glasses. This is also something you can fix yourself. If it's a metal frame, you don't need heat to fix this. Let's say both temples have the same angle to each side. 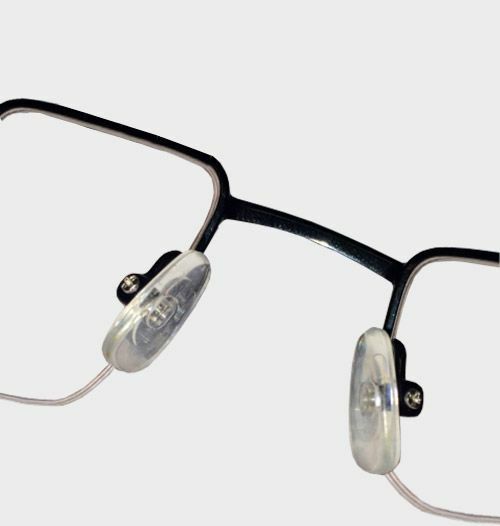 In this case, you can simply adjust the bridge or the angle between the lenses and the end pieces of the temples. If the angle has changed on only one of the temples, you adjust the angle between the lens and the end piece of the temple. If you want to adapt a plastic frame, you will need to use the hairdryer. 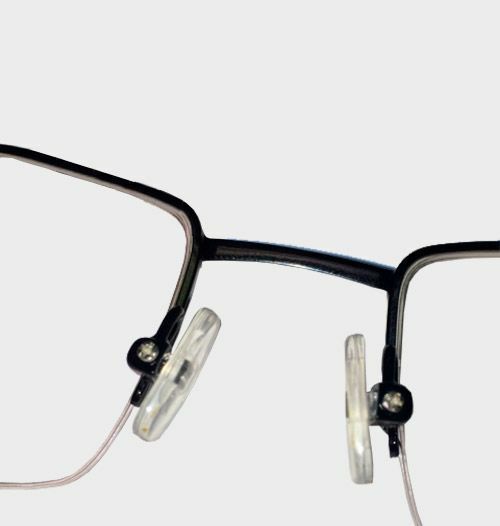 In the same way as with metal frames, you adjust either the bridge or the angle between the lens and the end piece of the temple.